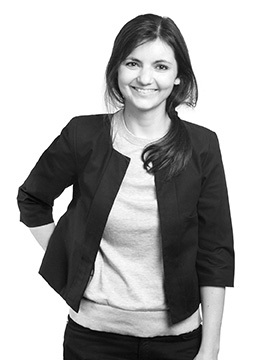 Anca Matyiku is a visiting instructor to the LSU School of Architecture, where she teaches design studio as well as courses in architectural theory, fabrication and representation. She holds a Bachelors of Architectural Studies from the University of Waterloo, a Masters of Architecture from the University of Manitoba, and is currently completing her PhD in Architecture at McGill University. Anca’s research and pedagogy explore architectural design and hands-on building as a cross-pollination of storytelling and fiction with material temperaments and fabrication techniques. Her doctoral dissertation focuses on the design process that leads to architecture, investigating how literary language operates as a medium for thinking though questions of place and architectural representation. Anca is the co-founder of a collaborative research-creation practice that focuses on public engagement and site specific interventions. These projects tend to bring out playful relationships to ‘other’ beings that have previously included other species such as trees and solitary bees, as well as primeval cows and mythical frost giants. This combined research has been part of several exhibitions and conferences including the 2012 Venice Biennale of Architecture, and it has been most recently published in contributions to Reading Architecture: Literary Imagination and Architectural Experience, Scroope, and Writingplace Journal. Prior to joining LSU, Anca taught at McGill University. She has practiced architecture in Montreal, Hong Kong and London UK, with projects ranging from mixed-use developments, cultural and residential projects, as well as temporary installations and performances.